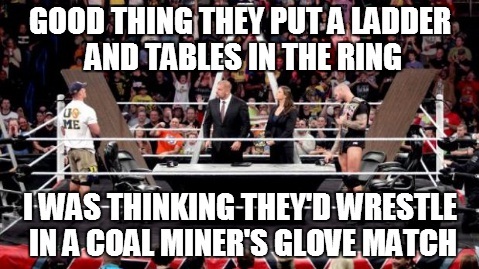 The Meme Event: WWE Monday Night Raw 12/2/13 - WrestleCrap - The Very Worst of Pro Wrestling! 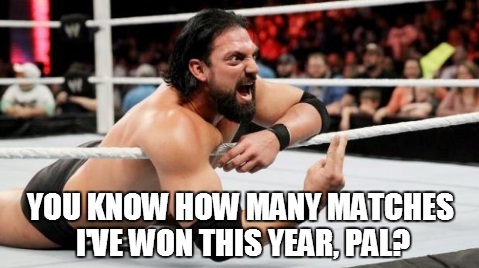 26 Responses to "The Meme Event: WWE Monday Night Raw 12/2/13"
To be fair, I still call it the “Will o’ the Wisp”, and it hasn’t been called that since ’99. 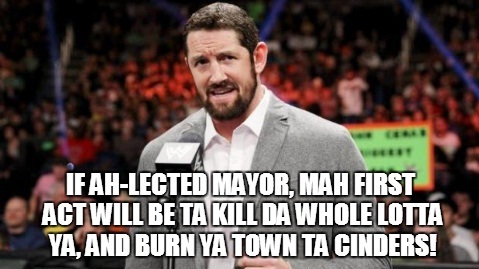 Great couple of Simpsons references this week – the Wade Barrett one being my fave. Not sure what was funniest. 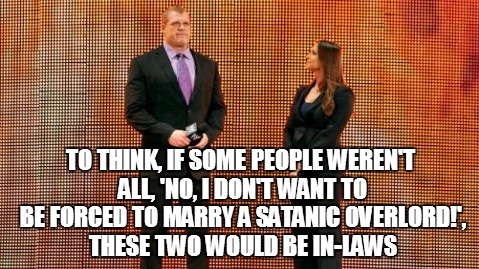 The Simpsons reference, Rollins Ambrose’s reactions, or the fact that I’d vote for Barrett. 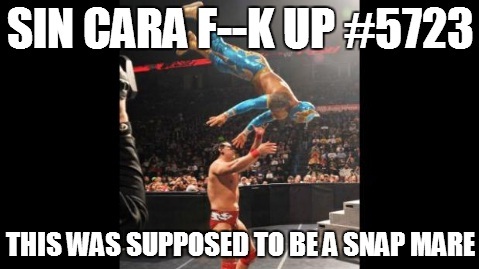 Was that hunico as sin cara again? Since he wasn’t awful and looked a little meatier? Yep, it was Hunico. Hunico is heavier & has a tattoo. 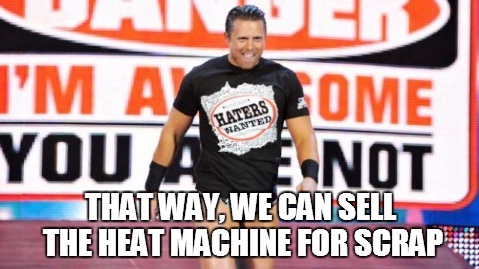 Great batch, was hoping to see something about Sin Cara botching his match with Del Rio by winning it though. 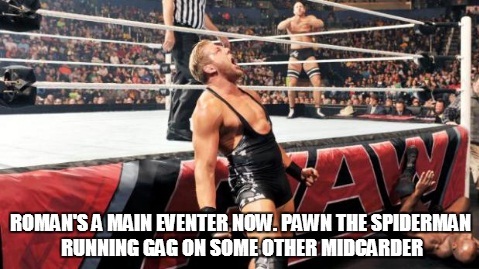 That match has happened so many times. 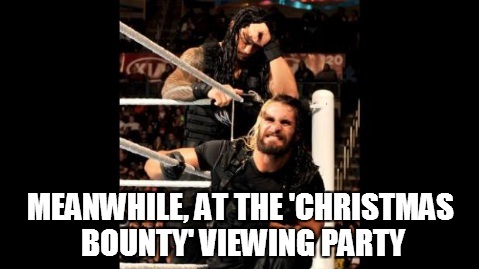 There was a Christmas Bounty viewing party and I missed it? Ah well. 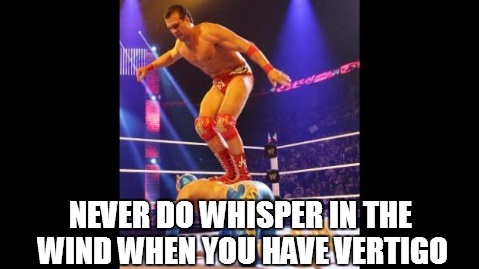 How soon until Sin Cara is made “Gobbledy Gooker” for Botchamania ? Lmao!!! 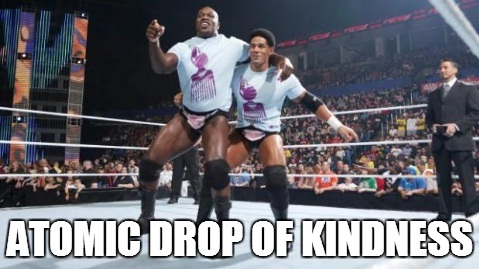 Loved the one with Orton being assisted on how to spell his name by Hunter!! The last one made me kinda sad. 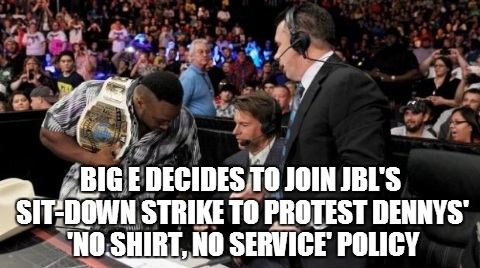 Y2J was the first two-belt holder, and he gets reduced to babysitting a dog. 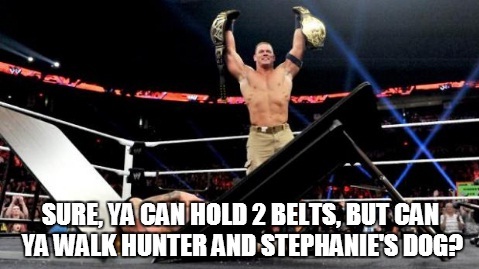 I meant Y2J was the first so-called Undisputed Title. 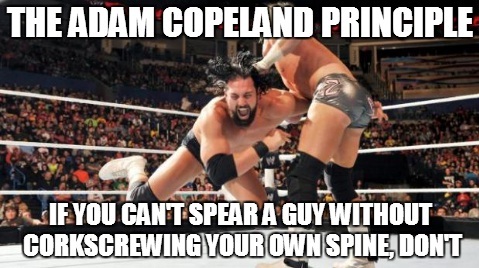 I know Warrior won the IC and HW at WM VI. Remember that Warrior had to drop one of the titles, so the he dropped the IC and there was a tournament for the vacant title. There was a shot of Orton last night while HHH was talking and he had his eyes closed and it looked like he was taking a nap. I noitced that. He actually seemed to have fallen asleep while the Hs were talking. Who can blame him? 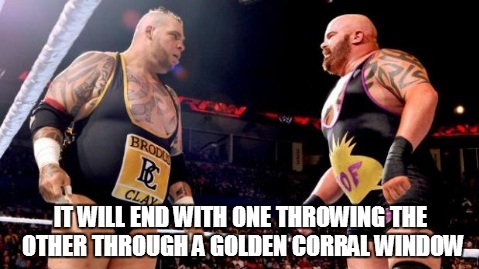 Cracked up at the Brodus/Tensai one! 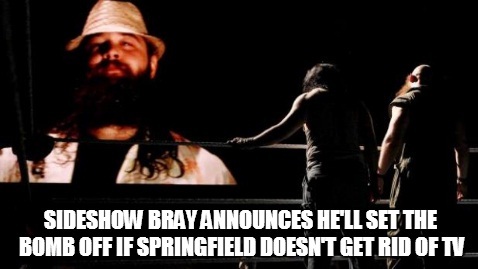 In the words of the late, great Gorilla Monsoon, this edition of “The Meme Event” was a classic! About time hey got rid of Mistico, he did nothing but botch and get hurt all the time. Not sure why they’re keeping the sin cara character. I guess his merch sells. 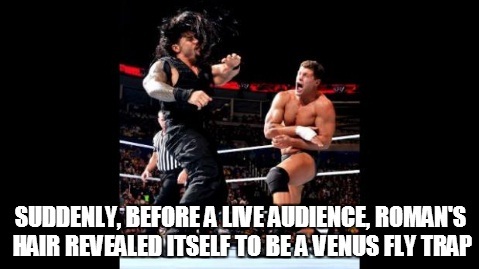 I totally almost watched the full episode of RAW last night except that I SKIPPED the Diva’s match. I bought Money in the Bank 2011, FWIW. This is the best overall batch in a while. Hosre teeth check, saran wrap, capri sun, just great.